Ruffled Feathers Wins 2nd Place! Today, I attended the artist reception for the 30th Annual National North American Miniature Art Exhibit at the Art Gallery of Fells Point in Baltimore Maryland. I was surprised to see that my two entries, Birdwing Butterfly and my pink flamingo, titled, “Ruffled Feathers”, were both on display in the front window of the gallery. 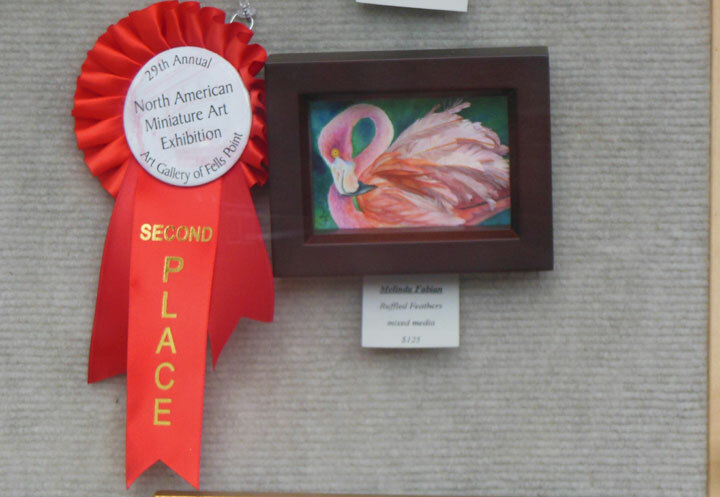 I was really thrilled to find out that “Ruffled Feathers” won 2nd place in the Mixed Media category! My first award for one of my watercolor paper sculpture illustrations!